Q: How do I get a good seal in my ear canal with the ear tips? A: Roll the foam tip between your thumb and index finger, progressively adding more pressure to compress the foam into a tight cylinder. While the foam is compressed, insert the tip into the ear. Be patient and allow the foam tip to expand so that it can create a tight seal. If you’d like an expert demonstration, please see this video. Q: My frame moves around on my head or it is too tight. A: The frame is stiff but still formable. Sometimes, simply applying pressure to open or close the frame a bit is sufficient. If that doesn’t work, carefully rebend the drop bends that go over the ears to tighten or loosen as necessary. Please don’t try to bend our frame within 2″ of our mic/cable entry. There are connections and components here that could be damaged. Q: Do I have to wear the frame over my ears? A: Some pilots prefer to wear the frame higher over the ears or even over the band of a hat, reducing the interference with glasses as well as reducing the weight on the ears. Scott says: I always fly with a ball cap on and sunglasses with pretty thick temples. With our longer mic boom, I’ve been wearing the CQ1 Headset frame up off of my ears by about an inch, somewhat around the band of my ball cap, or just above. This produces a lot of stability with rapid head movements and fully separates the headset from my sunglasses. Q: Where are the headsets manufactured? 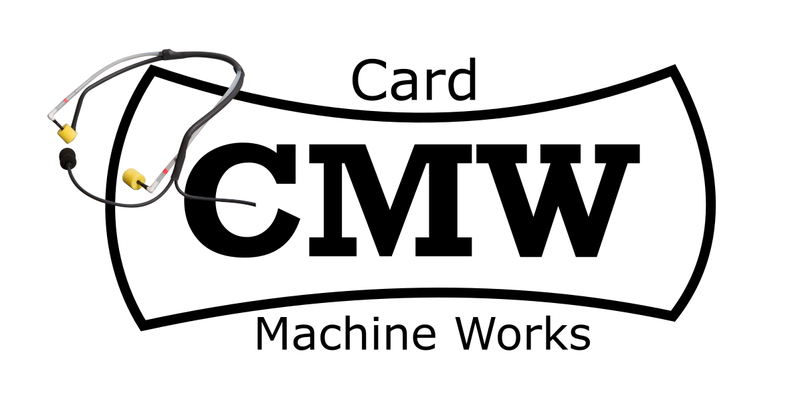 A: The headsets are assembled in the great state of Texas at Card Machine Works. Q: I only hear in one ear. A: Try toggling the stereo / mono switch on the side of the volume control box If you have an airplane wired for stereo, the switch should be on the side with the S stamped on it. If you have a mono airplane, the switch should be on the opposite side. Q: Is the headset in stereo or just mono? A: The headset can be used in either a stereo or mono wired aircraft. 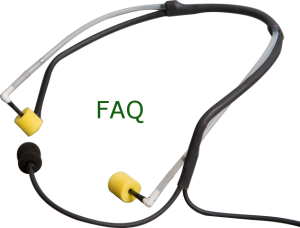 Q: Are the only ear tip options the yellow foam ones that will work with the CQ1? A: Absolutely not. The yellow foam ear tips we supply provide a great value for their performance and price point. However, there may be other ear tips that you like better. We encourage you to try them until you find the ultimate ones for you. We supply tubing that you can use to try out other premium options. Q: What are the little things inserted into the sound tubes. A: Those are called Acoustic Dampers. They are commonly used in a wide range of sound devices, from In Ear Monitors to hearing aids and of course headsets, to tune the transmitted frequency response in acoustic tubing. The selection of the correct acoustic damper and its placement in the sound tube is critical to the quality of sound that gets delivered to your ear canal. The dampers themselves are made out of a very small screen mesh. One potential maintenance item could be the fouling of the damper with moisture from the ear. The effect would be a gradually diminished volume level, which is dealt with by simply replacing the dampers and sound tubes.